A poll offers some clear instructions for Democrats interested in coming back from the shock of watching Donald J. Trump elected president of the United States. Go with someone shiny and brand new to the national scene, Democrats. No more Clintons should run for high office, namely the presidency. USA Today/Suffolk University has released a poll that says Democrats need someone new. It doesn’t specify an individual. Just go with someone new to the national scene. If you think about it, Republicans might have had the right idea by going with someone “new” as their presidential nominee in 2016. Donald J. Trump wasn’t exactly new to the limelight. He’s been basking in it for 30-plus years. He burst onto the political scene when he rode down that escalator at Trump Tower and then made his first presidential campaign promise: he’ll “build a wall” to keep those illegal immigrants from coming in. Trump was a familiar entertainment face, but was new to politics. He’s not so new to politics these days as he prepares to become president. Democrats are facing a serious quandary as they ponder their choices for 2020 and, believe it, they are pondering them at this very moment. One individual did fare pretty well in this poll of Democrats. It is Joe Biden, the current vice president who’ll be 78 years of age on Jan. 20, 2021 when we inaugurate someone after the 2020 election. Personally, I wanted Vice President Biden to run this time around. He didn’t go for it. I fear it’s too late for him next time. Poll respondents apparently think so, too. Democrats had better start beating the bushes for their next presidential nominee. The poll results suggest they need to find a fresh face. 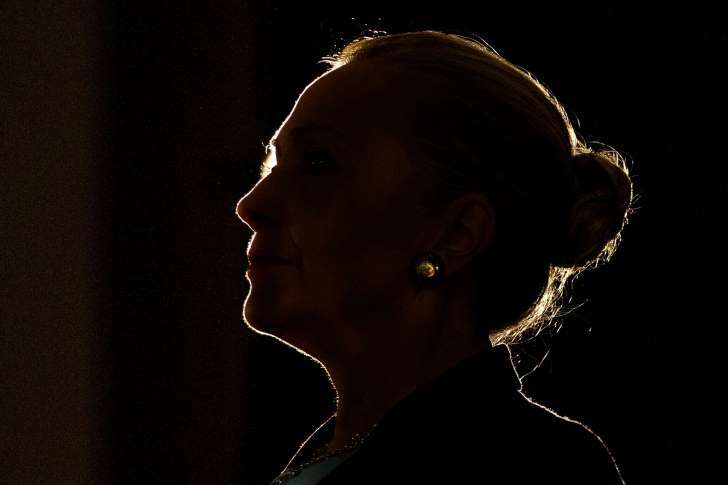 I mean, if Hillary Rodham Clinton — a former U.S. first lady, U.S. senator and secretary of state — can lose to someone as unqualified and unfit for the presidency as the guy who beat her, then it’s time to start with a clean slate. Previous PostWhat? The U.S. economy is stronger than we thoughtNext PostBolton’s mustache becomes an issue? Wow, man!